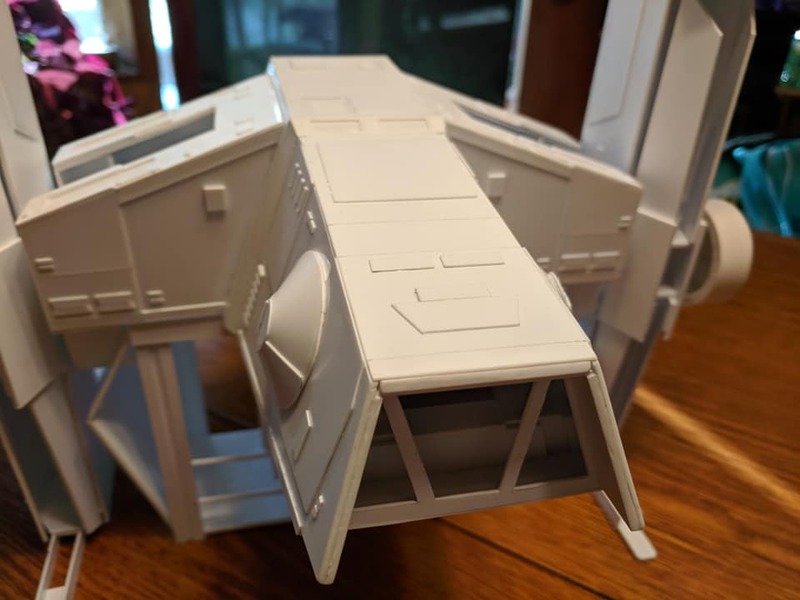 If you're building an AT-Hauler from my plans, the above link has images showing updates and tips on finishing and painting your toy. This is incredible. 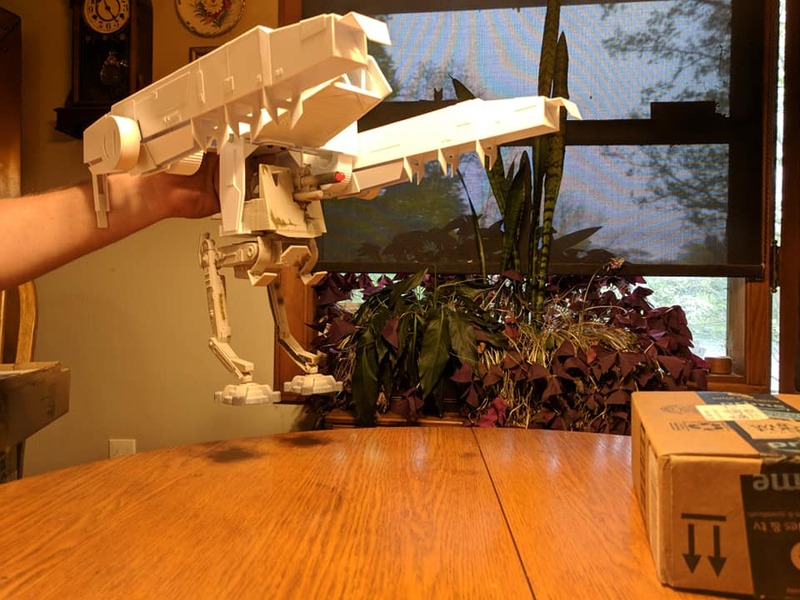 I've seen your U-Wing before, which is an absolute masterpiece. Hope you finish this, too, it looks like it's off to an extraordinary start!!! Great craftsmanship. 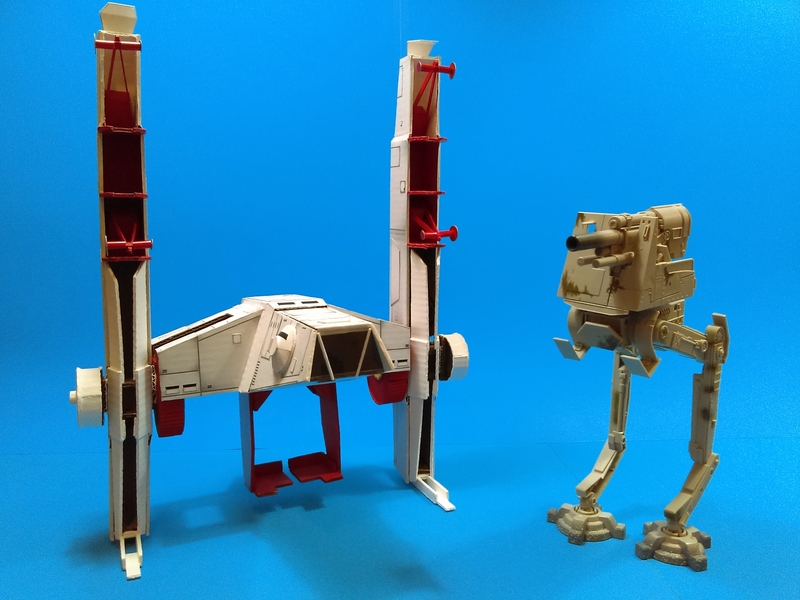 Why don't they just make 1/18 vehicles anymore? And, yes, Rio sits -- Rio fits. Quick mock-up just for fun. Product # E0319. 19" x 16" x 5". Like the latest SOLO toys, you can't find this on shelves. 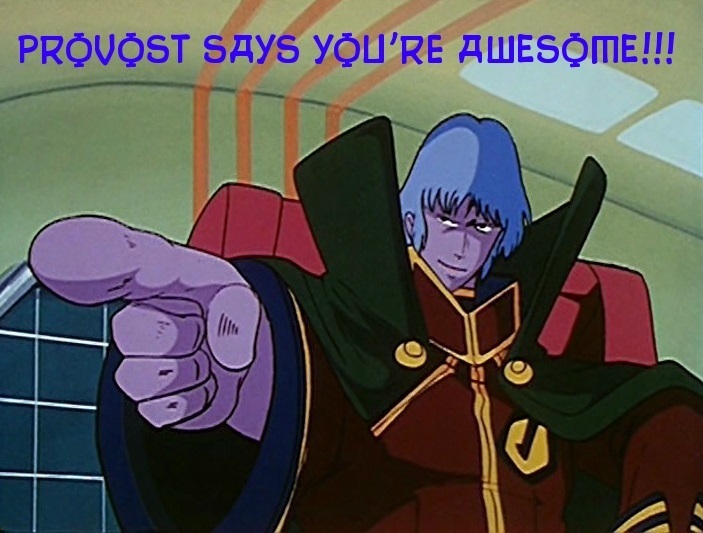 This is just awesome! Well done, TheWriteGuy! 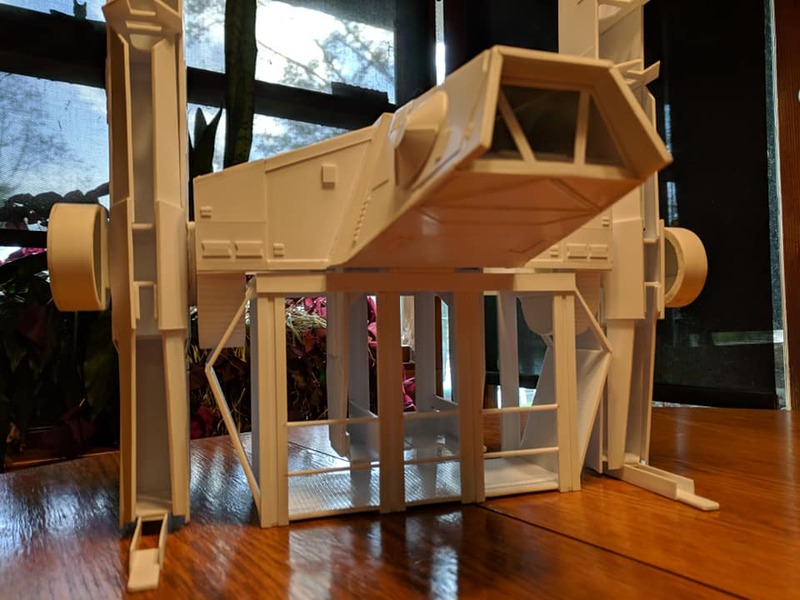 Someone is building his own AT-Hauler using my plans -- from PLASTIC. 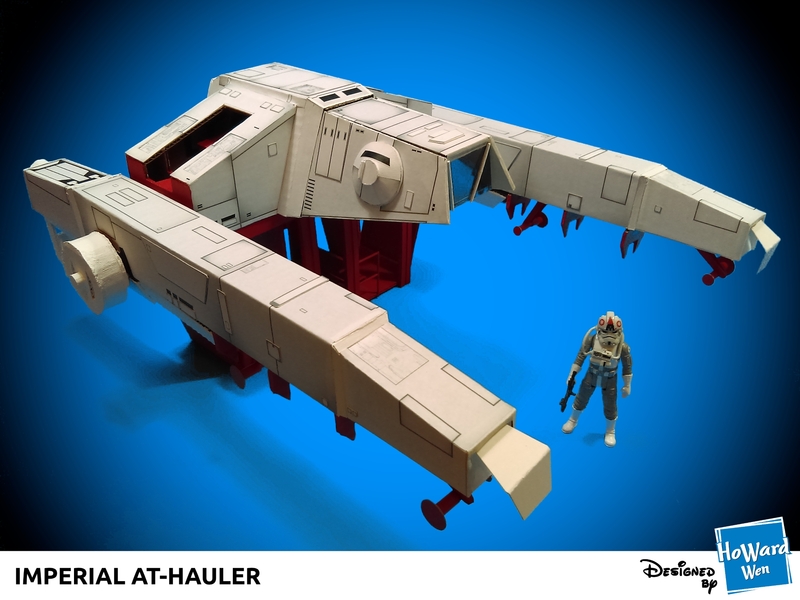 I hope Rob's work inspires other Star Wars toy fans to try making their own AT-Hauler. Rob said this is his first time building something out of a plastic -- which I find hard to believe! Technical note: This is not 3D-printed. Rob is using plastic sheets instead of cardboard sheets to cut out pieces and glue together. And he's reusing the pilot seat from a Hasbro Y-Wing. 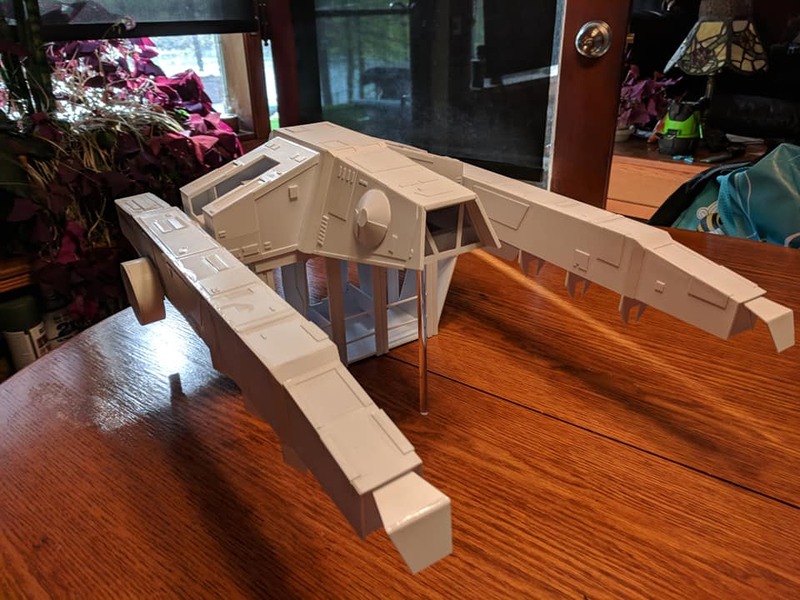 Here's Rob's current progress building his own Hauler from my plans but using plastic sheets. Rob devised a "stopper" pin for the rotating arm joint (which stops the arms from rotating too far back and too far forward). "Got the Claw finished and mounted. I came up with a way to make it removable for painting purposes later. It locks in under a removable plate. 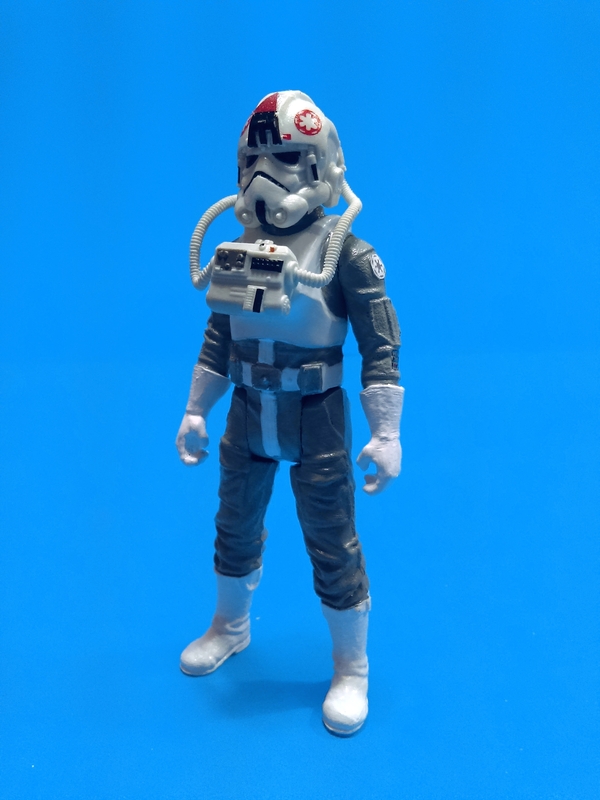 Even used Hasbro/Kenner screws salvaged from something else." 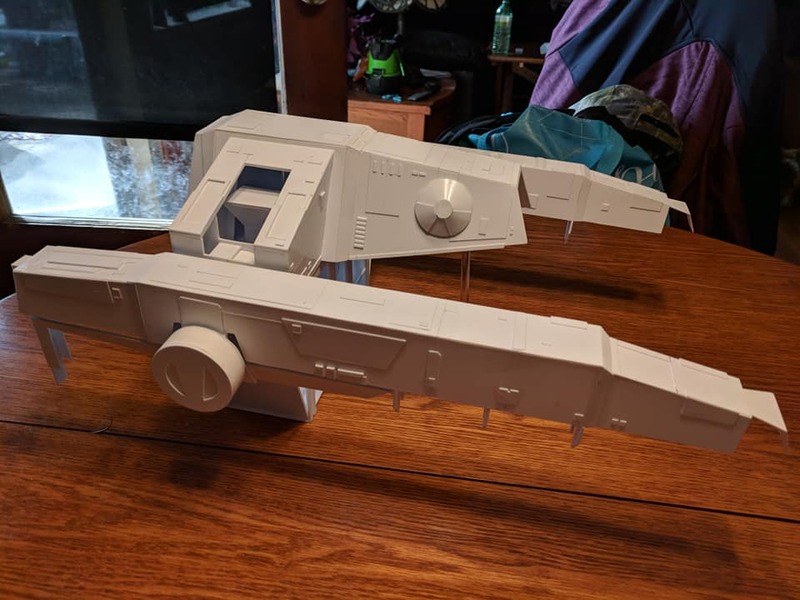 Update on Rob Brown's AT-Hauler he's making with plastic sheets. 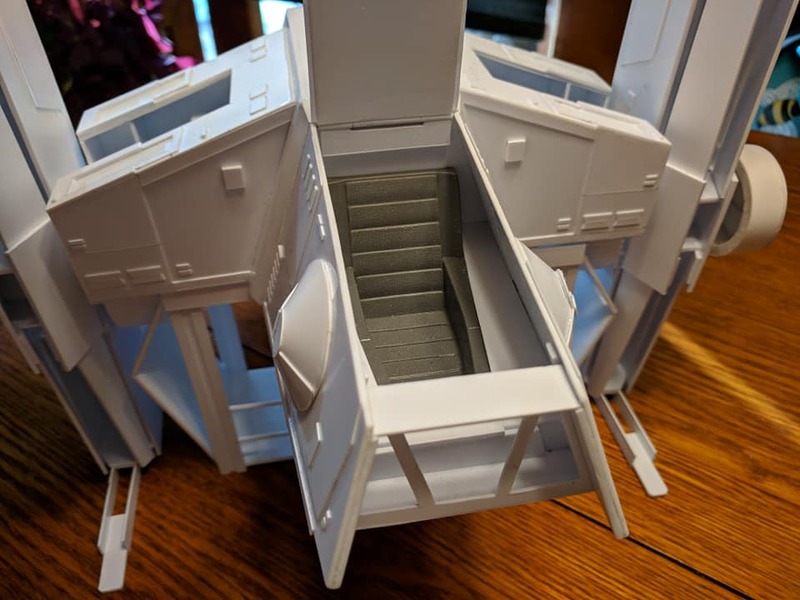 He has taken the decals from my kit and very effectively used them as templates to literally raise the level of surface detail. Every angle of this is looking like an actual toy! 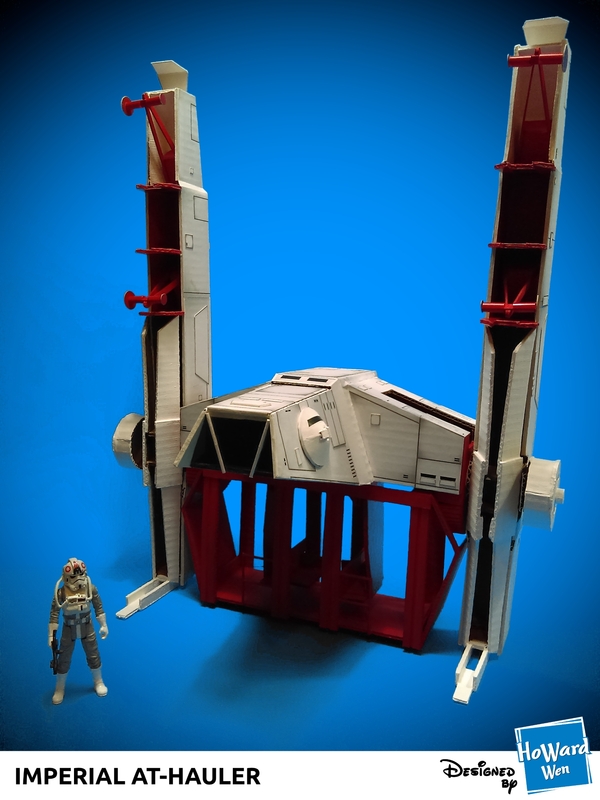 As far as I'm concerned, his is about to be the first "real toy" (plastic) version of the AT-Hauler that Hasbro never made! 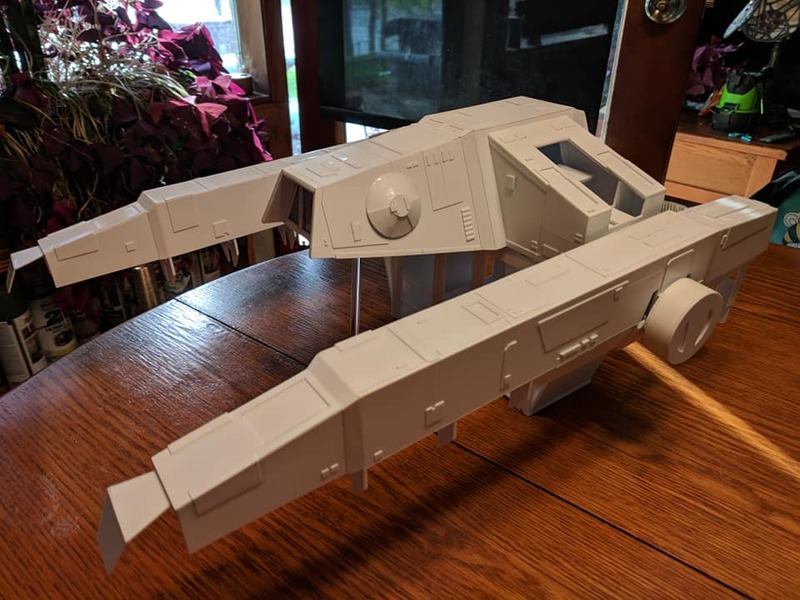 Also, I want to share another AT-Hauler made by Richard Cherry. Like mine, his is built with cardboard, but has lights.